What a great effort by the girls unfortunately going down 1-2. We were level until literally the last kick of the game. The beauty of soccer is that there is always something new to learn, added time in under 11's was what I learned today (and only in one half)! We only had 8 players for the whole match which shows the fitness of our girls and their determination to keep working for the whole game. We did offer to have a player from Caroline springs play with us to let one of their girls have a game, however, their coach chose not take up the option. If they did a check on Hazel's heart and lungs they might find they are as big as Phar Laps, she didn't stop running all game, amazing effort. Thank you to Miranda and Amelie for playing with us from the Gold team, a great effort by both of them being rock solid in defence and Miranda in goal the second half. We'll done to Annabelle on her first half in goal but more importantly her second half at right back where she positioned herself very well and made many timely tackles. As you would all know, we are on the edge with regards player numbers with three teams, so from time to time there will be last minute changes and girls playing for both teams during the season, I hope you all appreciate our goal is to ensure the girls play and enjoy themselves, so please bear with us. Our tip of the week was to be goal side when defending a corner. Carried out magnificently today by all girls, we looked organised and the opposition didn't know where to stand or where to kick the ball well done girls. Thanks to Mark (Tarni's dad for assisting and helping the goalies). See you all at training on Thursday. u11 Golds recorded a 0-5 defeat against Point Cook, but the last 15 minutes of the match was the best we have played yet. The action was all around the opposition's goal and they were really under pressure. Cheers from the Kensington crowd were deafening and well-deserved. If we can keep that up, it's only a matter of time before we put the ball in the back of the other team's net. We are still at the stage of moving players around and working out where they fit best. That means accepting mistakes because that's how we learn. The learning today was massive and that's why we were so strong in the last 15 minutes. Best of all, (and despite the rain) we all had fun. Go team! 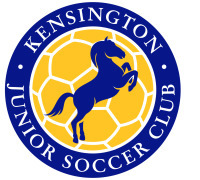 U12 Joeys played 2nd placed Epping and played a very strong game dominating possession in their attacking half for probably 80% or more of the game but conceded an unlucky goal in the first half with an intercepted back-pass to the keeper. A second goal to Epping late in the first half resulted from a good counter-attack. The girls continued to fight well and dominate the attack in the second half and created more chances but kept either finding the keeper with their shots or shooting wide. As I said to the girls before the game, we really don't care whether they win lose or draw. We are keen for them to compete well, play well and enjoy the friendships they create with each other. All of the girls should feel happy with their play today. What was really great to see was the way balls were being played wide to our forwards and how the midfielders and defenders were getting forward and supporting. There was some excellent passing backwards, sideways and forwards around Epping's goal area and this was what was creating our chances. Well done again today Joeys - you showed that you can compete with any team. Kangas played away today in the drizzling rain against Moreland Zebras. It was another hard fought game in what looks like a really even competition with most teams conceding few goals so far this year. We were a little under strength and borrowed 4 players from the Joeys - thanks to Ebony, Sarah, Honor and Hafsa for stepping up after playing already earlier in the day. We got off to a great start with the down hill roll at De Chene Researve and peppered the goal regularly and were rewarded with three goals by half time. The left side of the pitch combined well with most of running and trying to put pressure on their defense in the goal box. Moreland fought back after half time and scored a goal and then were awarded a penalty to mput them back to within a goal of us. Our centres and defenders settled and started to control the game and when Ishani scored a tearaway goal we were 4-2 up and that was the way it stayed. Well done everyone keep up with great work. It wasn't the result we were after but the way the girls are beginning to play the game its starting to look good. I was pleased with their attitude, their passing and positioning on the field. Come Sunday morning the girls were struggling to field a team. We had Jamie and Emma struck down with the flu. Genevieve pulled out with knee soreness and Bronnie deciding to give up soccer all together and try out gymnastics. Thankfully Omar was kind enough to drive Isabella G and Abby from the u14 b's to Caroline Springs to help us out for the game. Both Abby and Isabella performed to a high standard. Thanks for helping us out. The first half was even affair with the majority of the game being played out in the midfield. I can not recall the opposition having any real shots on our goal but there were a number of break away chances for us. The first half ended nil all with and all to play for. The second half was much the same as the first, a tight battle. We unfortunately went down a goal through some slack marking and a miss kick that deflected into our goal. To our credit the girls did not drop their heads and went out to get that goal back. With about ten minutes to play Isabella E beat the offside trap and made one her blistering runs towards the goal and chipped it over the advancing keeper. 1 all and game on. The last ten minutes of the game we dominated with a number of shots being saved. In a cruel twist with only seconds to play our defense was breached. Our left wing was exposed with a hard cross which should have been cleared unfortunately deflected of our defender and found its way thru to their striker. Their striker once again beat our keeper. After going down 2 - 1 there just was not enough time to get back even. A special mention must go to Kristina for her couragous header in the second half. From a long and high goal keepers kick in she met the ball on the full to header it back to our advantage. Also worth a mention was Kristine's bravery. After receiving a heavy knock and having to come of the field for treatment she mustered the strength up to take her position on the field again. A good and gutsy showing by all. It was a pity the result did not reflect the actual way we played.